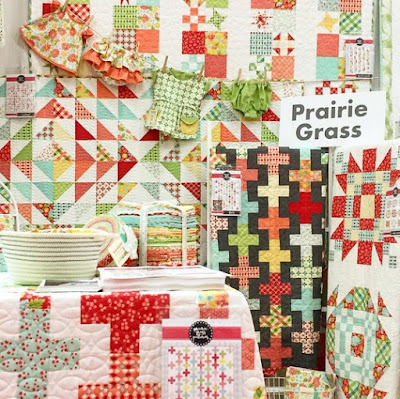 Love the HST and the staggered plus block quilts in April's booth, and of course, I love any kind of star block - which the Miss America pattern has! Thanks for sharing such a pretty and fun project and new line of fabric! Just gorgeous, Melissa!! I LOVE the quilting, as well. It really kicks the blocks up lots of notches! It is a great quilt and I like the colors too.